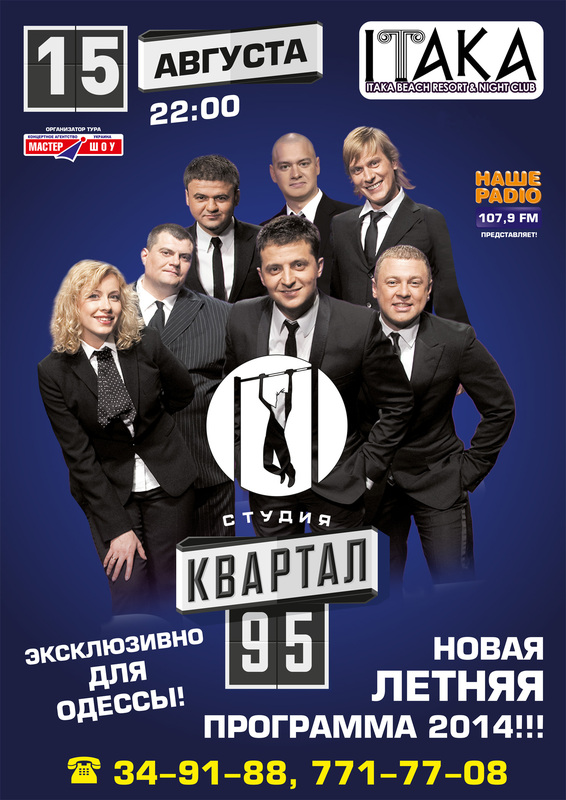 Vladimir Zelensky, the leader of the comedy troupe “Kvartal 95” knows the secret of this phenomenal success: you have to say funny about things that apply to everyone. The show never avoided controversial topics, artists constantly keep abreast of events. The hottest TV news immediately turn into the satirical sketches. So people don't feel like drowning in the maelstrom of political and social problems. “Vechirniy kvartal” serves them as a reliable lifebuoy! On December 30 comedians and Ukrainian pop stars will perform at the New Year program, the walls of the largest concert hall of the country again will shake because of vociferous laughter.